On the train ride south from Madrid to Seville, two-and-a half hours, my assigned seat positioned me traveling backward, which I thought was an apt metaphor for traveling back in time, visiting Holy Week, or Semana Santa, and the elaborate ancient rituals that mark it, some dating back to the thirteenth-century flagellation enthusiasts. The extravagant public Catholic processions during Semana Santa are a hallmark of the Spanish-speaking world. But here in Andalusia is where it all began. 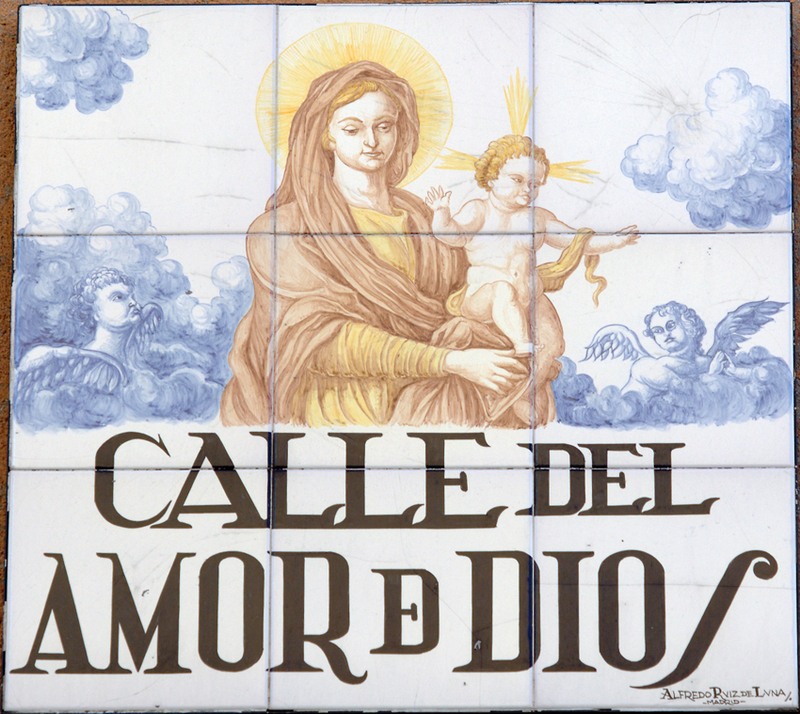 My small boutique hotel in Seville is located on the street, Amor de Dios, or Love of God. I am enchanted by the name of the street; it’s easy to remember. Delineated by tiny narrow streets lined with restaurants, shops, and bars. 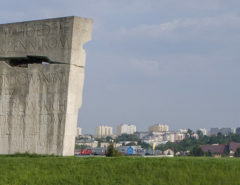 The room is tiny, but the location looms large, near the center of the city. The staff remembers me from my last visit. The laundry service fusses over an invisible stain on my shirt. I have a terrible sense of direction, problems with time and space, so I typically rely on cab drivers to navigate me back to my hotel when I’m in a foreign city. But this time my section of the city was closed off to car traffic for the several Semana Santa processions that occur each day. The GPS on my cellphone was worthless, thus I was left to circumnavigate these narrow serpentine medieval streets on my own. I found myself asking strangers for directions to my hotel: “Where is the ‘Love of God?’” I was looking for el Amor de Dios. Spaniards are generally very kind, yet they typically speak so rapidly it is dizzying and difficult to understand them—even while my Spanish is not bad as an inheritance speaker. The responses I would get to my question were varied, not really guiding me home but always to a beautiful place (Seville is a gorgeous city). Eventually, after wandering around, I would find my way home, feeling enriched for the rewarding yet challenging journey, experiencing a part of the city, of the world, I might not have otherwise seen. Palm Sunday, April 9, 2017, is the first of the processions. Seville, like Spain generally, is teeming with churches. Demographic data report that over seventy-five percent of Spaniards identify as Catholic. Each church has at least one Paso, or giant float, winding around the center of the city and culminating at the Cathedral, where the body of Christopher Columbus is lavishly enshrined. Christopher Columbus harbored messianic delusions. What with the Reconquista, the expulsion of the Jews (1492), and the marriage of Ferdinand of Aragon and Isabella La Catolica of Castile (1469), uniting the kingdoms of Spain, 1500 became fraught with millennial eschatological significations. The “discovery” of the new world, executing the missionary burden, signified that Christ would certainly target the Iberian Peninsula for his imminent return. 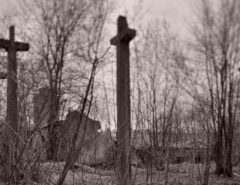 The Penitente brotherhood emerged in Italy and Spain around that time as a fraternity committed to the imitation of Christ’s passion; their signature ritual was self-flagellation. Male flagellation is not uncommon in Christian history and culture, and there is also a version of it in Shiite traditions. The grandiose processions that demarcate the week are gigantic events, each with a paso of a particular Virgin, and one depicting the passion of Jesus. In Granada I witness the procession of “Las Penas,” or, “The Miseries.” Pasos are usually preceded or succeeded by a marching band, and other church groups, children, women in long black dresses and veils of intricate lace. In some processions the Paso has a skirt covering the men who carry it so it appears to be floating. Other times, the Paso is carried openly. In either case the men who carry it are part of a Catholic brotherhood known as the Penitentes, who make a promise to carry the Paso each year, which weighs over a metric ton. Some process in bare feet. The processions are highly orchestrated events, causing the shutdown of a large portion of the city. In Seville the central plazas are cut off from all traffic, barriers are erected, and hundreds of wooden folding seats are set up. Only ticket holders are allowed to enter the public space as the processions circle the center of the city and terminate in the Basilica—the largest in the world is the claim, I think of it as a religious mall. The brothers don robes and tall pointy hoods, capirotes, or caperuza, which eerily resemble the uniforms of America’s Ku Klux Klan. 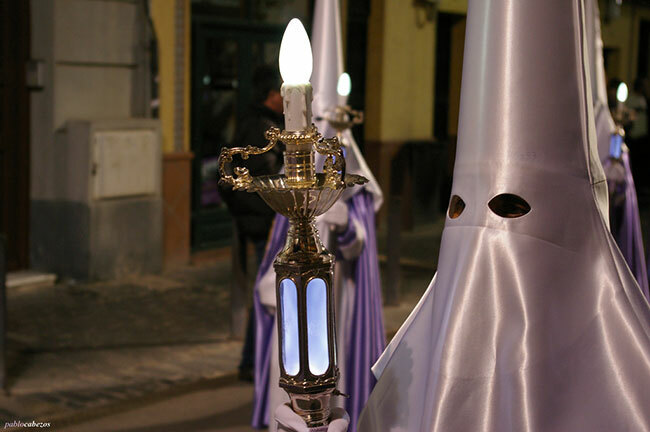 The robes are typically all white, or all black, but they can also be combined as a white robe with a purple hood. The expressed reason for the hoods with tiny eyeholes is that the penitents remain anonymous, preserving their humility and increasing their grace. The throngs of observers come in all ages. But they are all dressed in their finery: men in suits and ties, and women in heels and formal dresses. 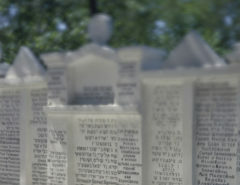 The pasos make various stops marking significant places and allowing the brothers to rest. Each time the paso is raised, the audience applauds. Processors carry tall white candles, perhaps two feet high. As they drip children gather to collect the wax, creating wax balls. I make my way back to the Love of God. It is Easter Sunday I am sitting in a central plaza in Seville called Salvador, or Savior, writing on my laptop, enjoying wine and tapas. A man asks me how to reach Christo Podereso (Powerful Christ), I can’t help him. A middle-aged woman walks up and hands me a fresh sprig of rosemary, for blessings and luck, asking for money. She tells me that she is from El Salvador. At first I decline. She is insistent. She is giving it to me for free without obligation. I again decline. She asks me if she can read my palms. I decline. She insists and captures my hand. I relent. It is Easter Sunday. She tells me things about my life, with great conviction, but that make no sense to me. When she is done I hand her the change in my pocket, about a half dozen Euros. She objects: coins are bad luck; it needs to be paper money. I search my wallet. I hand her twenty Euros, and ask for her blessing. Can’t hurt. How should I feel? Am I a saint or a fool? A fool and his money are soon parted; and yet, you saw me naked and did not clothe me. I search again for the Love of God. On the cab ride to the train station, heading back to Madrid, my young cab driver asks if I was in Seville for the processions. Of course, I tell him. Did I see the procession of the Virgin of La Macarena. Of course. I tell him that she has her own song, half jokingly. Not offended but very serious he tells me that the song, while he likes it, has nothing to do with the Virgin. He says that La Macarena is an Andulusian thing, and that she is probably the most important Virgin in Spain, but he doesn’t want to brag he tells me. I think I have found the Love of God. Dr. Luís León is Professor Religions in the Americas, Postcolonialism, Latina/o Studies at the University of Denver and the author of two books: The Political Spirituality of Cesar Chavez: Crossing Religious Borders (Berkeley: University of California Press, 2014), and La Llorona’s Children: Religion, Life, and Death in the U.S.-Mexico Borderlands (Berkeley: University of California Press, 2004). His current research interrogates the intersections of spirituality, race, class, and sexuality among Latino men in lived religions and popular media. He is exploring the same intersections through Pentecostal autobiography, and in an ethnographic project focused on Penitente men.